Considering Stocking E-Stim in your own store? Are you considering stocking e-stim? Why not have a look at our wholesale website and see what we can offer you. Are you a professional Domme (or Dom)? Do you use electroplay or ElectroStim equipment in your work? If you answered yes to either, you are eligible for an automatic 10% discount on every purchase you make from the E-Stim Systems website. It's easy to get set up. How To Get The Professional Discount? All you need to do is Create a Customer Account on our website if you don't already have one, then email us at info@e-stim.co.uk to let us know, and include the address of your website together with the email address you used to login. We will then check the details, and enable the discount on your account. If you already have electroplay kit, E-Stim Systems power boxes and electrodes are compatible with those of the other major brands, including ErosTek, PES and Electrastim. Do you run an adult website or blog? Do you generate quality visitors and traffic? If so then you could join our affiliate scheme and earn 20% on every order that your website generates via links. The system is flexible, easy to use and payments are made via PayPal on a monthly basis. If you want to know more, either drop us an email, or visit our Affiliate System, and fill in the online form. You will receive an email with a confirmation link to click on, and afterwards another email with your password and a "quick-start" guide to help you get started. If you have any questions at all, contact affiliate support at affiliates@e-stim.co.uk, and we'll be happy to help you. When is the discount applied to my order? 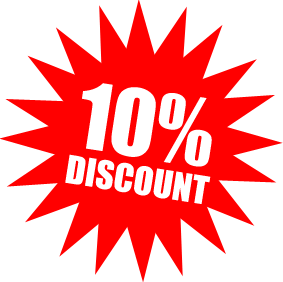 Once we activate your discount, you will automatically be shown the discounted prices whenever you are logged in. How do you confirm I am a professional? Usually this is done by confirming your professional presence on the Internet (and the email address or phone number displayed in your ad or website). This can include a profile on a Domme directory, etc. How do I get my affiliate link? If you have your own website, all you need is a simple link to our site. If someone clicks on it and makes a purchase, our system will register a commission for you. Do I have to put advertising banners on my site? You can if you like, but you don't have to. You can use as discrete a link as you want.